Adoption is a beautiful way to create a family for both children without biological families and for families that are unable to conceive or choose the gift of adoption. A World For Children provides families with two options for adoption – adopting a child from the Child Protective Service system or adopting a newborn through private adoption. Across the State of Texas, there are hundreds of children, who have been removed from their biological homes, spent time in the child welfare system, and now legally have no parent. They may have a roof over their head and food in their bellies and be in a wonderful temporary home, but they are looking for the commitment of a long-term family, who is willing to give them a forever home. They are awaiting adoption. A World For Children licenses families to foster and/or foster to adopt. Families will provide a temporary home for foster children, and, if those children, become legally available for adoption, the foster family may pursue adopting the child, if they so choose. We are upfront with all families that it is important that child fits the home and that the home fits the child. Adoption, especially of older children, must be approached with an open mind and with all the information. We want to ensure that all parties involved take the step of adoption seriously and cautiously, as we believe a failed adoption is one more level of trauma. Our experienced, loving team of staff walks hand in hand with every family through the entire process. We have seen so many beautiful blessings come out of the foster to adopt program and each year, we have more children adopted from the CPS system. It is an amazing thing to witness. Texas Adoption Center was developed by A World For Children to serve communities across the state. In an effort to prevent babies from eventually entering the foster care system, AWFC works to seek out birth moms who want to place their baby in an adoptive home. What a fantastic gift these moms are giving their babies in preventing them the trauma that leads to foster care. Also many families wanting to adopt a child have their dreams come true. This is a win—win–win! AWFC started this program and received licensure in 2016. 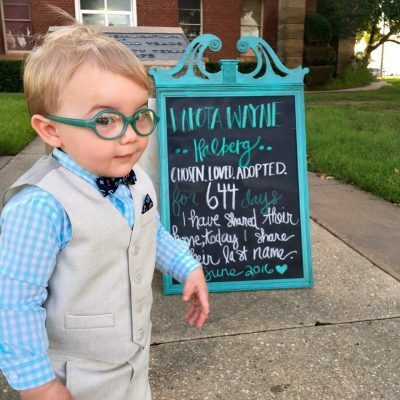 If you are interested in adopting a child, please visit Texas Adoption Center.